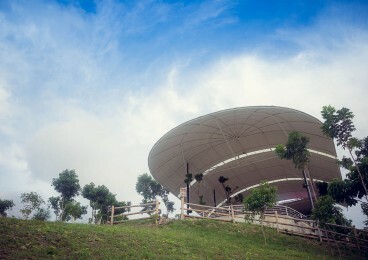 The Winds Open Area serves as our garden venue. 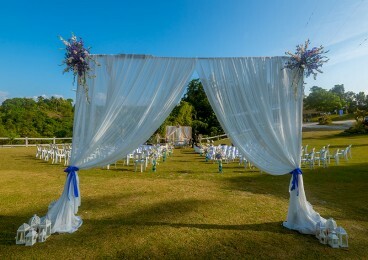 Located on the secluded upper section of the resort, the Winds Open Area offers a more private setting for events. The space is ideal for big corporate events like team buildings or huge garden weddings. It’s easy to transform such a spacious area. It is even big enough to accommodate a giant stage for a private band to play music for your function. 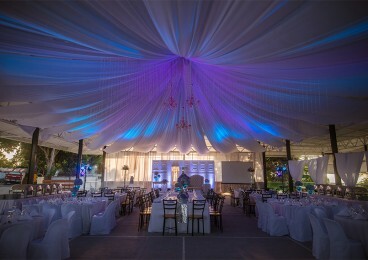 Two giant tents flank each side of the open area, making it easy to move a function to a covered area should there be rain. Tucked on the upper part of the resort with a separate gate, the entire Winds Open Area (including the Giant Tents) can also be turned into a completely exclusive and enclosed area, perfect for school campings, big conferences or other huge organisational events. The area features 15 bathroom stalls, and can easily accommodate at least 300 guests.